Please find below the most-cited contemporary articles from PRS from 2015 and 2016. See what your peers are reading and citing in their work. Editor-in-Chief, Rod J. Rohrich, MD announces the 2018 awards for the Best Papers in "Plastic and Reconstructive Surgery." Awards will be presented to all winners at Plastic Surgery- The Meeting 2018 in Chicago, Illinois. The Editorial and Publishing staff scoured data for all manuscripts published in 2017 to determine the number of full text article views, number of PDF views, number of times sent by email and the number of times the article was added to a personal collection on PRSJournal.com. The data was further calculated to represent the average number of times per month those activities occurred. This average data was combined to create a score for each manuscript, placing them on equal footing, independent of publication month. The articles were sorted by score, and selected based on pre-existing categories. Emerging Author paper- First author and others on a paper who have been authors on fewer than five PRS papers. Only Original articles, experimental, and special topics are considered. 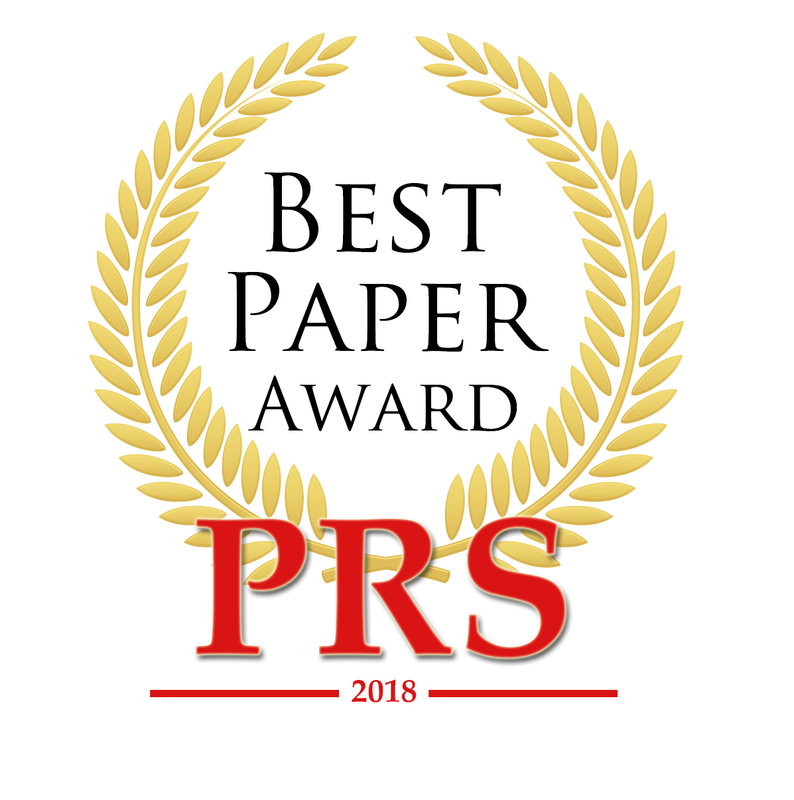 Best Special Topic Paper category includes special topic articles in any sub-section of the journal, including "Plastic Surgery Focus." Authors were not allowed to win twice, even for different papers or different awards. The Editor-in-Chief, Co-Editor, Editorial Board Members, and the ASPS Executive Committee were ineligible. In this era of enhanced patient safety and outcomes and increased scrutiny of medical devices, the safety of breast implants in both aesthetic and reconstructive surgery has yet again become a topic in the spotlight. Breast augmentation is one of the most popular aesthetic procedures performed and implant-based breast reconstruction represents ~80% of all breast reconstructions. It is important for surgeons to have access to the data regarding these devices. This PRS Collection contains scholarly articles published in Plastic and Reconstructive Surgery addressing this topic. Implant safety, longevity, complications and patient outcomes are addressed. This robust collection highlights the science behind breast implant safety, and was compiled by Breast Section Editor, Joseph Disa, MD. - Silicone Gel Breast Implants: What We Know About Safety After All These Years. Ann Intern Med. 2016 Feb 2;164(3):199-200. - Lactation Outcomes in More Than 3500 Women Following Primary Augmentation: 5-Year Data From the Breast Implant Follow-Up Study. Aesthet Surg J. 2018 Aug 27. - Long-Term Safety of Textured and Smooth Breast Implants. Aesthet Surg J. 2017 Dec 13;38(1):38-48. - Long-Term Health Outcomes in Women With Silicone Gel Breast Implants: A Systematic Review. Ann Intern Med. 2016 Feb 2;164(3):164-75. - Eight-year follow-up data from the U.S. clinical trial for Sientra's FDA-approved round and shaped implants with high-strength cohesive silicone gel. Aesthet Surg J. 2015 May;35 Suppl 1:S3-10. - Natrelle saline-filled breast implants: a prospective 10-year study. Aesthet Surg J. 2009 Jan-Feb;29(1):19-25. - The safety of silicone gel-filled breast implants: a review of the epidemiologic evidence. Ann Plast Surg. 2007 Nov;59(5):569-80. This collection contains all of the PRS articles with an associated Coding Perspective, written by CPT-ICD-10 Coding Editor Raymond V. Janevicius. PRS Articles discussed and referenced during "How to Get your Paper Published" Lectures. Additional Resources: Learn more about study-design, outcomes, and levels of evidence in this PRS collection: "Evidence-Based Medicine: How-to Articles"
Read the PRS Global Open Editorial to learn more about predatory publishing: "Predator-in-Chief: Wolves in Editors’ Clothing"
Official Evidence-Based Guidelines and Measures of the American Society of Plastic Surgeons published in Plastic and Reconstructive Surgery. Clinical practice guidelines are systematically developed recommendations for patient care that describe a basic management strategy—or a range of such strategies. ASPS Evidence-Based Clinical Practice Guidelines follow a rigorous development process that includes a multi-disciplinary work group, management of conflicts of interest, and patient input. That process can be viewed here. Medical tourism, or traveling abroad to obtain medical services, has evolved into a global health care phenomenon, with over 15 million U.S. patients each year seeking medical care internationally, representing a $50 billion dollar industry in 2017. This collection of articles and content from Plastic and Recosntructive Surgeryinvestigates far-reaching implications of medical tourism, including legal issues, safety, outcomes, outcomes, population health, and more. 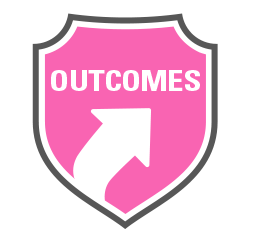 The Outcomes Article Collection was created to educate plastic surgeons on the expanding role of outcomes research in the field of plastic and reconstructive surgery. This form of research explores numerous aspects of healthcare including the broad outcomes categories of prevention (safety studies, systematic reviews), quality of care, patient reported health, and life and healthcare costs. As we enter into the realm of value based care, it has become evident that a significant portion of U.S. healthcare spending is for services with blurred clinical effectiveness. Practice patterns span different specialties, and communities differ, making it more difficult to discern the links between the types of care being delivered and the outcome reached. Another issue is the deficiency of an evidenced-based understanding into what management choices may be most appropriate for various patient populations. In the current healthcare environment, outcomes research drives decision-making and has implications on policy as well as influencing contemporary practice trends. Furthermore, it provides a significant perspective on how care is measured and delivered through an inclusive approach that respects patient preferences. Ultimately, if significant improvements can be made, adjustments can be shared with others to implement. This is the core of healthcare reform and value-based care; achieving greater outcomes, and refining patient health, swiftly and competently. In general, these articles have outperformed other journal topics, again emphasizing their importance. It is the responsibility of the Journal to ensure that outcomes research is presented in a standardized fashion that is easily understandable. This collection will hopefully allow readers to make informed decisions regarding healthcare. The Editorial Board of Plastic and Reconstructive Surgery officially thanks all of our amazing peer reviewers. We also honor our Reviewer Hall of Fame. Please enjoy the articles about the art, science, and technique of peer reviewing. Articles and Related Videos from the "Women in Plastic Surgery" Special Topic article series from 2016 and 2017. This article series won an Honorable Mention in the 2017 Folio: Eddie and Ozzie Awards for Best Series of Articles, Editorial Content. Plastic and Reconstructive Surgery presents a dynamic, peer-reviewed Masters Series of video vignettes and articles. The video vignettes, each approximately 2 to 3 minutes in length, contain the key surgical and technical elements to obtain consistent results in a variety of plastic surgery procedures, demonstrated by the innovators or masters in these areas. Each Masters Series video vignette article is accompanied by approximately 10 bullet points summarizing the key elements in treatment planning and technical execution, as well as a list of classic references. These very compact, thorough, and educational vignettes will allow for rapid reference of procedures done by masters in plastic surgery. The first video vignettes in this series appear in PRS’ Cosmetic section, featuring videos from the Baker Gordon Symposium. We hope you enjoy this new addition to Plastic and Reconstructive Surgery as we enter a new era in medical publishing: immediately usable, technique-based, peer-reviewed, educational videos and short articles. Our hope is that the PRS Video Vignette Masters Series will inspire others to submit their short, high-quality videos to all sections of the Journal, and that readers will be able to take the educational techniques into clinical and operative consideration. As a service to our readers, Plastic and Reconstructive Surgery reviews books, DVDs/Videos, practice management software, and electronic media items of educational interest to reconstructive and aesthetic surgeons. All items are copyrighted and available commercially. The Journal actively solicits information in digital format for review. Reviewers are selected on the basis of relevant interest. Reviews are solely the opinion of the reviewer; they are usually published as submitted, with only copy editing. Plastic and Reconstructive Surgery does not endorse or recommend any review so published. Send books, DVDs, and any other material for consideration to: Arun K. Gosain, M.D., Review Editor, Plastic and Reconstructive Surgery, Brookriver Executive Center, 8150 Brookriver Drive, Suite S-415, Dallas, Texas 75247. We have made these reviews free to the public and created an online archive to make them easy to browse. 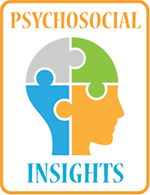 Psychosocial Insights columns provide psychological commentary from PRS Consulting Editor, Dr. David B. Sarwer. Sarwer is Associate Dean for Research, Professor of Social and Behavioral Sciences, and Director of the Center for Obesity Research and Education, College of Public Health, Temple University, Philadelphia, Pa. This Feature won the 2018 Bronze Award for "Best New Department" from the "American Society of Healthcare Publication Editors. These articles complement the PRS Grand Rounds Facebook Live Lecture and Q&A on “Face Transplantation: Current State and Future Directions" by Eduardo D. Rodriguez, MD, DDS, held on December 6, 2018 at 7 pm CST on Facebook.com/PRSJournal. In addition to the articles listed below, be sure to read "Quality Improvement in Facial Transplanatation: Standard Approach for Novel Procedures" for free on PRS Global Open. Eduardo D. Rodriguez, MD, DDS is an internationally recognized leader in plastic and reconstructive surgery, Dr. Rodriguez joined the NYU Langone faculty in November 2013 as the Helen L. Kimmel Professor of Reconstructive Plastic Surgery and chair of the Hansjӧrg Wyss Department of Plastic Surgery. Dr. Rodriguez joined NYU Langone from the Johns Hopkins Hospital and the University of Maryland School of Medicine/R Adams Cowley Shock Trauma Center where he was Chief of the Division of Plastic, Reconstructive & Craniofacial Surgery and Professor of Surgery. Dr. Rodriguez leads NYU Langone’s vascular composite allotransplantation (VCA) program, which encompasses face and limb transplantation. He and his team performed NYU Langone’s first face transplant in August 2015 on Patrick Hardison, a firefighter from Senatobia, MS, who was severely burned in September 2001 in the line of duty. This case is widely recognized as the most extensive procedure of its kind to date – and the first performed in New York State. Dr. Rodriguez is dually boarded by the American Board of Oral and Maxillofacial Surgery and the American Board of Plastic Surgery. These articles complement the PRS Grand Rounds Facebook Live Lecture and Q&A on Pre-Pectoral Breast Reconstruction by Maurice Nahabedian, MD and Allen Gabriel, MD recorded live at Plastic Surgery the Meeting 2017 in Orlando, Florida on October 8, 2017. These articles complement the PRS Grand Rounds Facebook Live Lecture and Q&A on “Rhinoplasty: The Dynamics of Tip Rotation, Projection, and Shape" by Jeffrey R. Marcus, MD, held on March 26 at 8 pm CST on Facebook.com/PRSJournal. Jeffrey R. Marcus, MD is Chief of the Division of Plastic, Maxillofacial, and Oral Surgery at Duke University, where he is also a Professor of Surgery and Pediatrics. Prior to coming to Duke, Dr. Marcus completed his medical degree at the University of Michigan, plastic surgery training at Northwestern University, and his fellowship in pediatric and craniofacial surgery at the University of Toronto Sick Kids. He currently serves as the Director of the Duke Cleft & Craniofacial Center and is the immediate past President of The Rhinoplasty Society. His clinical interests include cleft nasal deformity, facial reanimation, and rhinoplasty. He was recently awarded an NIH R01 award to study computational fluid dynamics of the unilateral cleft nasal deformity. These articles complement the PRS Grand Rounds Facebook Live Lecture and Q&A on “Female-to-Male Transgender Surgery: An Overview of Top and Bottom Surgery by Alexes Hazen, MD, held on March 23, 2017 on Facebook.com/PRSJournal. Join us online for #PRSGrandRounds. These articles were selected to complement the PRS Grand Rounds Facebook Live Lecture and Q&A “Getting it Right with the Nasal Dorsum in Rhinoplasty” by Rod J. Rohrich, MD, held on January 30, 2017 on www.facebook.com/PRSJournal. Join us online for #PRSGrandRounds. These articles were selected to complement the PRS Grand Rounds Facebook Live Lecture and Q&A “Pathways to Leadership in Plastic Surgery: When You Come to a Fork in the Road, Take It” by Robert X. Murphy, MD, held on May 23, 2017 on www.facebook.com/PRSJournal. 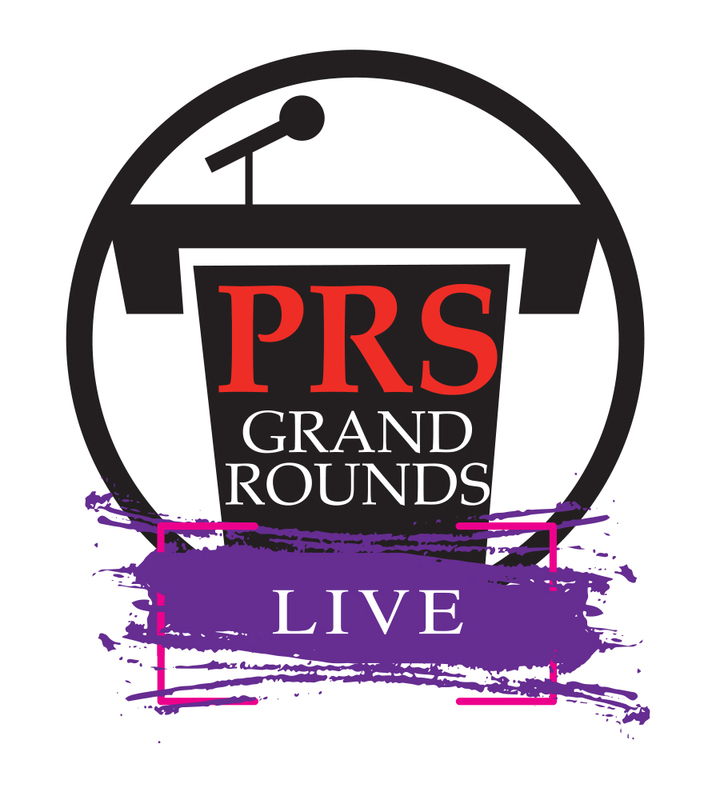 Join us online for #PRSGrandRounds. These articles complement the PRS Grand Rounds Facebook Live Lecture and Q&A on “Safety in Gluteal Augmentation: A Global Crisis" by J. Peter Rubin, MD, held on June 20, 2018 at 8 pm CST on Facebook.com/PRSJournal. These articles complement the PRS Grand Rounds Facebook Live Lecture and Q&A on “Surgical Management of Lymphedema" by David W. Chang, MD, FACS held on December 14, 2017 on Facebook.com/PRSJournal at 8:00 pm CT.
Lymphedema is a chronic, debilitating condition that causes physical, social and psychological morbidity, affecting up to 250 million people worldwide. Unfortunately, no cure for lymphedema currently exists. Recently, with the advances in techniques and equipment in microsurgery, there have been major and exciting new surgical procedures that have been developed to help treat and reduce the severity and complications of lymphedema. These new microsurgical procedures, such as lymphovenous bypass and vascularized lymph node transfer, have transformed the way we manage lymphatic patients and have also rejuvenated the field of lymphatic studies both clinically and academically. These articles complement the PRS Grand Rounds Facebook Live Lecture and Q&A on “Wide-Awake Surgery- Why it's better" by Donald H. Lalonde, MD, held on September 27, 2017 on Facebook.com/PRSJournal. Recent advances in minimal pain local anesthesia injection over large body areas eliminate the need for sedation for many procedures in the operating room, clinic, office, or emergency department. We proudly present an additional, freely available collection of complementary articles and videos on Wide-Awake Surgery from PRS Global Open. These articles complement the PRS Grand Rounds Facebook Live Lecture and Q&A on “Women in Plastic Surgery" by Heather Furnas, MD with Paco Canales, MD, to be held on July 13, 2017 on Facebook.com/PRSJournal. Join us online for #PRSGrandRounds. Read and watch the entire Women in Plastic Surgery Series of Special Topics, Discussions, and Videos. PRS presents this collection of high-quality scientific data on this serious subject. The views, opinions and techniques set forth in this collection addressing anaplastic large cell lymphoma in women with breast implants are those of the individual author(s) and do not necessarily reflect the views, opinions, or recommendations of the American Society of Plastic Surgeons, the Journal or the Journal editors. Any treatment recommendations contained in the article are those of the individual author(s) and are not to be considered or construed as practice guidelines, practice standards or practice parameters. The use of any treatment technique described in the article is at the sole discretion of the physician in the exercise of his or her independent medical judgment taking into account the patient’s individual circumstances. The collection was updated in September 2018, with the help of Breast Section Editor, Joseph Disa, MD. This compilation of PRS papers features the very best in Anatomy. A very special thank you to Dr. Peter Cordeiro whose expertise and experience guided the creation of this very best of anatomy collection. The following collection consists of the best papers on face transplants, and was created in honor of the 10th anniversary of the first face transplant operation. Articles selected by D. Orgill, B. Pomahac, E. Rodriguez, and M. Siemionow. We are pleased to provide you with this collection composed of Breast Reconstruction articles, as initially chosen in 2012 by the PRS Editorial Board under the guidance of Dr. Maurice Nahabedian and Dr. Grant Carlson and updated annually. A special thanks to Dr. Maurice Nahabedian and Dr. Joseph Disa, whose expertise guided the 2016 updating of this collection. Please let us know if we have not included an article you think contains invaluable educational content and should be included in this collection. We are pleased to provide you with this article collection composed of Breast Reduction articles, as originally chosen by the PRS Editorial Board. This collection was first updated in 2012 with the help of Dr. Sumner Slavin, Dr. Elizabeth Hall-Findlay and Dr. Dennis Hammond. We would like to thank Dr. David Hidalgo., whose expertise guided the 2014 updating of this collection. With that said, however, there are more excellent articles in the PRS archives. Please let us know if we have not included an article you think contains invaluable educational content and should be included in this collection. We think that these articles will be of great interest to you, and represent some of the most educational and very best articles published in PRS. Celebrating the Fiftieth Baker Gordon Symposium on Cosmetic Surgery: The Legacy of Thomas J. Baker, M.D. This collection features Rod Rohrich’s interview with Thomas Baker and James Stuzin reflecting on 50 years of the Baker Gordon Cosmetic Symposium, as well as 7 historic surgical videos highlighting pivotal moments in the symposium’s history. We are pleased to bring this article collection of the Top Body Contouring and Liposuction Articles to you. Special thank you to Dr. Al Aly, Dr. J. Peter Rubin, and Dr. Alan Matarasso, whose expertise guided the most recent updating of this collection. Started in 2010 and refined regularly, this 2014 update now includes 25 of the most important Cosmetic Breast articles in PRS. A special thanks to Dr. David Hidalgo whose expertise guided the 2014 updating of this collection. This collection, created in 2014, began as an off-shoot of the Cosmetic: Breast Collection, and features Breast Implant Manufacturer Studies. It was compiled by Dr. David Hidalgo, and will be updated periodically. We are pleased to bring this article collection of the Top Face Lift Articles to you. This collection began as a collection of the top 9 articles on Face Lift as chosen by the PRS Section Editors and key members of the PRS Editorial Board. The Collection has been updated annually, leading to the robust collection you see before you today. There are numerous other excellent articles on this topic published in PRS, and this collection by no means represents an exhaustive list of PRS articles. We hope you find this collection helpful and stimulating, and encourage you to provide us with your own suggestions of excellent articles for this and other future collections. I would like to offer a special thank you to Dr. Jim Stuzin and Dr. Val Lambros who were instrumental in the 2012 updating of this supplement. We are pleased present to you this special collection composed of the PRS articles featured in the article "Craniofacial articles every resident should read," from Plastic Surgery Resident. A special thanks to Drs. Ian Hoppe, Linton Whitaker, Scott Bartlett, and Jesse Taylor for compiling this list for Plastic Surgery Resident. We are pleased to provide you with this article collection composed of Craniofacial: Cleft articles, as chosen by the PRS Editorial Board. We think that these articles will be of great interest to you, and represent some of the most educational and very best articles published in PRS on this particular topic in the last ten years. I'd like to extend a special thank you to Dr. Larry Hollier and Dr. Joseph Losee, whose expertise guided the 2012 updating of this collection. We are pleased to provide you with this article collection composed of Craniofacial: Cleft articles, as chosen by the PRS Editorial Board. We think that these articles will be of great interest to you, and represent some of the most educational and very best articles published in PRS on this particular topic in the last ten years. I'd like to extend a special thank you to Dr. Larry Hollier and Dr. Scott Bartlett, whose expertise guided the 2012 updating of this collection. Many of these methodologies are not familiar to plastic surgeons and are not traditional research tools in this field. However, Plastic Surgery is an innovative specialty, and the creativity of Plastic Surgery demands us to continue to explore new avenues of research directions and methods in order to promote the full spectrum of research tools at our disposal. This collection of instructive articles are by no means exhaustive, but they will provide a template for all who are interested in conducting clinical research and who are not deterred by unfamiliarity with some of the research methodologies. In the current era of comparative effectiveness and focus on health care economics, articles that assess outcomes and cost will be considered favorably for submission to PRS because these types of articles can guide the treatments for our patients. To provide the most optimal care for our patients and to distinguish plastic surgery as the scientific leaders in Surgery, we must fully embrace evidence- based medicine and the many creative research methods to help us research vexing questions facing our specialty. I hope that you will learn and enjoy reading these selected articles, and we will continue to update this list to help you engage in outcomes research and evidence-based medicine. We are pleased to provide you with this article collection composed of Evidence-Based Medicine articles, as chosen by the PRS Editorial Board. We think that these articles will be of great interest to you, and represent some of the most educational and very best articles published in PRS on this particular topic in the last ten years. I'd like to extend a special thank you to Dr. Kevin Chung and Dr. Don Lalonde, whose expertise guided the 2012 updating of this collection. We are pleased to provide you with this article collection composed of Experimental articles, as chosen by the PRS Editorial Board. We think that these articles will be of great interest to you, and represent some of the most educational and very best articles published in PRS on this particular topic in the last ten years. I'd like to extend a special thank you to Dr. Michael Longaker, Dr. Lee Pu and Dr. Dennis Orgill, whose expertise guided the 2012 updating of this collection. We are pleased to bring you this new collection of Experimental papers with a focus on Bone healing. We are pleased to bring you this new collection of Experimental papers with a focus on Lymphedema. We are pleased to bring you this new collection of Experimental papers with a focus on Tissue Engineering. We are pleased to bring you this new collection of Experimental papers with a focus on VCA. We are pleased to bring you this new collection of Experimental papers with a focus on wound healing. This special collection features the best PRS articles on Fat Grafting in clinical studies. A very special thank you to Dr. Lee Pu who's experience and expertise guided the creation of this collection. This new for 2014 collection features the best PRS articles on Fat Grafting in research. A very special thank you to Dr. Lee Pu who's experience and expertise guided the creation of this collection. We are pleased to provide you with this article collection composed of Hand articles, focused on congenital and soft tissue. This collection was chosen by the PRS Editorial Board. We think that these articles will be of great interest to you, and represent some of the most educational and very best articles published in PRS on this particular topic in the last ten years. The collection was created in 2010 and updated in 2011 as a general "hand" collection. Then, in 2012, we subdivided this generalized hand collection by topic and added more relevant articles. I'd like to extend a special thank you to Matt Concannon, whose expertise guided the 2012 updating of this collection. We are pleased to provide you with this article collection composed of Hand articles, focused on entrapment syndromes, peripheral nerve and brachial plexus. This collection was chosen by the PRS Editorial Board. We think that these articles will be of great interest to you, and represent some of the most educational and very best articles published in PRS on this particular topic in the last ten years. The collection was created in 2010 and updated in 2011 as a general "hand" collection. Then, in 2012, we subdivided this generalized hand collection by topic and added more relevant articles. I'd like to extend a special thank you to Matt Concannon, John Barbour, Jonathan Cheng and Douglas Sammer, whose expertise guided the 2012 updating of this collection. We are pleased to provide you with this article collection composed of Hand articles, focused on joints, bones and fractures. This collection was chosen by the PRS Editorial Board. We think that these articles will be of great interest to you, and represent some of the most educational and very best articles published in PRS on this particular topic in the last ten years. The collection was created in 2010 and updated in 2011 as a general "hand" collection. Then, in 2012, we subdivided this generalized hand collection by topic and added more relevant articles. I'd like to extend a special thank you to Matt Concannon and L. Scott Levin, whose expertise guided the 2012 updating of this collection. We are pleased to provide you with this article collection composed of Hand articles, focused on Ring Avulsion. We are pleased to provide you with this article collection composed of Hand articles, focused on tendons. This collection, which includes Dupuytren's, was chosen by the PRS Editorial Board. We think that these articles will be of great interest to you, and represent some of the most educational and very best articles published in PRS on this particular topic in the last ten years. The collection was created in 2010 and updated in 2011 as a general "hand" collection. Then, in 2012, we subdivided this generalized hand collection by topic and added more relevant articles. I'd like to extend a special thank you to Dr. Matt Concannon and Dr. L. Scott Levin, whose expertise guided the 2012 updating of this collection. This is a collection of lectures and videos from the Baker Gordon Symposium on Cosmetic Surgery. Presented by Thomas J. Baker, MD and James M Stuzin, MD in coordination with Plastic and Reconstructive Surgery. Videos © 2012-2017 reserved for Thomas J. Baker, M.D. and James M. Stuzin, M.D. The views expressed in these videos are those of the presenters only and do not necessarily reflect the official positions of Plastic and Reconstructive Surgery or the American Society of Plastic Surgeons. We are pleased to bring this article collection of the top Pediatric: Congenital/Vascular Anomalies articles to you. This collection began by having the top 30 articles on Reconstructive: Lower Extremity as chosen by the PRS Section Editors and key members of the PRS Editorial Board. Those articles were then evaluated by the Editorial Board as a whole and narrowed down to the final top 16 articles. The collection was created in 2012. I'd like to extend a special thank you to Dr. Ed Luce and Dr. Joe Losee, whose expertise guided the 2012 creation of this collection. We are pleased to provide you with this collection of articles on Plastic Surgery education, as chosen by the PRS Editorial Board. I'd like to extend a special thank you to Dr. Robert Weber, whose expertise guided the 2014 updating of this collection. View Plastic and Reconstructive Surgery's free hot topic videos, which discuss the latest scientific trends and newest research in plastic surgery. Each month, Editor-in-Chief Rod Rohrich highlights some of the most interesting and accessible studies in the Journal. Featuring expert interviews, interesting insights, and hands-on demonstrations, these videos are well-suited for patients, practitioners, the public, and plastic surgeons too. This collection contains articles selected by the Resident Ambassadors to the Editorial Board for the April 2018 PRS Journal Club. Each article from the current issue has been selected for further discussions in Journal Clubs around the country, on Twitter, and in the PRS Journal Club Podcasts and will be marked with a “Journal Club” icon. On April 22 2018, we held the #PRSJournalClub Q&A on Facebook.com/PRSJournal on the topic of "Factors affecting women's success in academic and private practice." This collection contains articles selected by the Resident Ambassadors to the Editorial Board for the December 2018 PRS Journal Club. Each article from the current issue has been selected for further discussions in Journal Clubs around the country, on Twitter, and in the PRS Journal Club Podcasts and will be marked with a “Journal Club” icon. #PRSJournalClub Q&A on Facebook.com/PRSJournal on the topic of "Can Functional Nasal Surgery Treat Chronic Headaches?" This collection contains articles selected by the Resident Ambassadors to the Editorial Board for the February 2018 PRS Journal Club. Each article from the current issue has been selected for further discussions in Journal Clubs around the country, on Twitter, and in the PRS Journal Club Podcasts and will be marked with a “Journal Club” icon. This collection contains articles selected by the Resident Ambassadors to the Editorial Board for the June 20th 2018 PRS Journal Club. Each article from the current issue has been selected for further discussions in Journal Clubs around the country, on Twitter, and in the PRS Journal Club Podcasts and will be marked with a “Journal Club” icon. In June 2018, we held the #PRSJournalClub Q&A on Facebook.com/PRSJournal on the topic of "Disappearing Digits: Analysis of national trends in amputation and replantation in the United States"
This collection contains articles selected by the Resident Ambassadors to the Editorial Board for the March 2018 PRS Journal Club. Each article from the current issue has been selected for further discussions in Journal Clubs around the country, on Twitter, and in the PRS Journal Club Podcasts and will be marked with a “Journal Club” icon. This collection contains articles selected by the Resident Ambassadors to the Editorial Board for the May 20th 2018 PRS Journal Club. Each article from the current issue has been selected for further discussions in Journal Clubs around the country, on Twitter, and in the PRS Journal Club Podcasts and will be marked with a “Journal Club” icon. This collection contains articles selected by the Resident Ambassadors to the Editorial Board for the November 2018 PRS Journal Club. Each article from the current issue has been selected for further discussions in Journal Clubs around the country, on Twitter, and in the PRS Journal Club Podcasts and will be marked with a “Journal Club” icon. #PRSJournalClub Q&A on Facebook.com/PRSJournal on the topic of "Interposition Vein Grafting in Head and Neck Free Flap Reconstruction." This collection contains articles selected by the Resident Ambassadors to the Editorial Board for the September 2018 PRS Journal Club. Each article from the current issue has been selected for further discussions in Journal Clubs around the country, on Twitter, and in the PRS Journal Club Podcasts and will be marked with a “Journal Club” icon. This collection contains articles selected by the Resident Ambassadors to the Editorial Board for the April 2019 PRS Journal Club. Each article from the current issue has been selected for further discussions in Journal Clubs around the country, on Twitter, and in the PRS Journal Club Podcasts and will be marked with a “Journal Club” icon. This collection contains articles selected by the Resident Ambassadors to the Editorial Board for the February 2019 PRS Journal Club. Each article from the current issue has been selected for further discussions in Journal Clubs around the country, on Twitter, and in the PRS Journal Club Podcasts and will be marked with a “Journal Club” icon. This collection contains articles selected by the Resident Ambassadors to the Editorial Board for the January 2019 PRS Journal Club. Each article from the current issue has been selected for further discussions in Journal Clubs around the country, on Twitter, and in the PRS Journal Club Podcasts and will be marked with a “Journal Club” icon. This collection contains articles selected by the Resident Ambassadors to the Editorial Board for the March 2019 PRS Journal Club. Each article from the current issue has been selected for further discussions in Journal Clubs around the country, on Twitter, and in the PRS Journal Club Podcasts and will be marked with a “Journal Club” icon. We are pleased to bring this article collection of the top Reconstructive: Head and Neck articles to you. This collection began by having the top 50 articles on Reconstructive: Lower Extremity as chosen by the PRS Section Editors and key members of the PRS Editorial Board. Those articles were then evaluated by the Editorial Board as a whole and narrowed down to the final top 30 articles. The collection was created in 2012. I'd like to extend a special thank you to Dr. Fred Menick, Dr. David Chang, Dr. Grant Carlson and Dr. Joseph Disa, whose expertise guided the 2012 creation of this collection. We are pleased to bring this article collection of the top Reconstructive: Lower Extremity articles to you. This collection began by having the top 40 articles on Reconstructive: Lower Extremity as chosen by the PRS Section Editors and key members of the PRS Editorial Board. Those articles were then evaluated by the Editorial Board as a whole and narrowed down to the final top 20 articles. The collection was created in 2012. I'd like to extend a special thank you to Dr. L. Scott Levin, Dr. Dennis Orgill and Dr. Gregory Dumanian, whose expertise guided the 2012 creation of this collection. We are pleased to bring you a selection of the very best articles published in PRS on Trunk Reconstruction. I'd like to extend a special thank you to Dr. Charles Butler and Dr. Dennis Orgill, who've built upon their 2012 update to bring you this refined update for 2014. We are pleased to provide you with this article collection composed of Rhinoplasty articles. We think that these articles will be of great interest to you, and represent some of the most educational and very best articles published in PRS on this particular topic in the last twenty years. I'd like to extend a special thank you to Dr. Bahman Guyuron, Dr. Ron Gruber and Dr. Jamil Ahmad, whose expertise guided the 2013 creation of this collection. November 22, 2013 marked 50 years since President John F. Kennedy was assassinated in Dallas, Texas. On the 50th anniversary of his death PRS had the remarkable opportunity to reflect on Kennedy’s life, examine the medical evidence pertaining to his death, and reflect on what this historic event means to us as both children of history and as Plastic Surgeons. This collection of special topics, editorials, and an exclusive interview may help you gain new understanding of the events of that day, 50 years ago. In memoriam of Ivo Pitanguy (1923 to 2016), we are pleased to provide you with a collection of some of his best PRS and videos as well as several remembrances. We think that these articles will be of great interest to you. In memoriam of Jack P. Gunter, MD (1937- 2017), we are pleased to provide you with a collection of some of his best PRS articles and videos. We think that these articles will be of great interest to you. PRS' Editor Emeritus, the late Robert Goldwyn, MD, realized the impact of Joseph E. Murray, MD in a 1991 editorial: "...as an attending surgeon in the dressing room one medical student say to the other: “Another of these dull kidney transplants I have to scrub on.” It was obviously a tribute to Dr. Murray and all who worked with him to have transformed a spectacular, unique event into the commonplace." Dr. Murray, renowned Plastic Surgeon, Nobel Laureate and Pioneer of Organ Transplantation, passed away on November 26, 2012 at age 93. We honor his memory by offering you this collection of articles spanning over 65 years. Herein you can read about his storied accomplishments, academic pursuits, surgical trials and his personal thoughts on Plastic and Reconstructive Surgery. You will also find the thoughts of those he impacted and influenced. We are pleased present to you this special collection of the very best PRS articles about Plastic Surgery resident. Updated: September 2016. "The Resident Reader: Articles that Will Heighten Your Surgical Skills" is a compilation of article collections organized by different subsections of Plastic and Reconstructive surgery featuring the essential articles for residents. This project was led by PRS Resident Ambassadors to the Editorial Board. Each subsection was built by groups of plastic surgery residents from around the world. This section was most-recently cultivated by Chad Teven, MD and Naveen Krishnan, MD. "The Resident Reader: Articles that Will Heighten Your Surgical Skills" is a compilation of article collections organized by different subsections of Plastic and Reconstructive surgery featuring the essential articles for residents. This project was led by PRS Resident Ambassadors to the Editorial Board. Each subsection was built by groups of plastic surgery residents from around the world. This section was most-recently cultivated by Francesco Egro, MD and Chad Teven, MD. .
"The Resident Reader: Articles that Will Heighten Your Surgical Skills" is a compilation of article collections organized by different subsections of Plastic and Reconstructive surgery featuring the essential articles for residents. This project was led by PRS Resident Ambassadors to the Editorial Board. Each subsection was built by groups of plastic surgery residents from around the world. This section was most-recently cultivated by Francesco Egro, MD. The Resident Reader: Articles that Will Heighten Your Surgical Skills" is a compilation of article collections organized by different subsections of Plastic and Reconstructive surgery featuring the essential articles for residents. This project was led by PRS Resident Ambassadors to the Editorial Board. Each subsection was built by groups of plastic surgery residents from around the world. This section was most-recently cultivated by Jordan Frey, MD and Maryann Martinovic, MD. The Resident Reader: Articles that Will Heighten Your Surgical Skills" is a compilation of article collections organized by different subsections of Plastic and Reconstructive surgery featuring the essential articles for residents. This project was led by PRS Resident Ambassadors to the Editorial Board. Each subsection was built by groups of plastic surgery residents from around the world. This section was most-recently cultivated by Rik Osinga, MD and A. Salibian, MD. The Resident Reader: Articles that Will Heighten Your Surgical Skills" is a compilation of article collections organized by different subsections of Plastic and Reconstructive surgery featuring the essential articles for residents. This project was led by PRS Resident Ambassadors to the Editorial Board. Each subsection was built by groups of plastic surgery residents from around the world. This section was most-recently cultivated by Nicole Phillips. The Resident Reader: Articles that Will Heighten Your Surgical Skills" is a compilation of article collections organized by different subsections of Plastic and Reconstructive surgery featuring the essential articles for residents. This project was led by PRS Resident Ambassadors to the Editorial Board. Each subsection was built by groups of plastic surgery residents from around the world. This section was most-recently cultivated by Ava Chappell, MD and Sergey Y Turin, MD. The Resident Reader: Articles that Will Heighten Your Surgical Skills" is a compilation of article collections organized by different subsections of Plastic and Reconstructive surgery featuring the essential articles for residents. This project was led by PRS Resident Ambassadors to the Editorial Board. Each subsection was built by groups of plastic surgery residents from around the world. This section was most-recently cultivated by Ara A. Salibian, MD. "The Resident Reader: Articles that Will Heighten Your Surgical Skills" is a compilation of article collections organized by different subsections of Plastic and Reconstructive surgery featuring the essential articles for residents. This project was led by PRS Resident Ambassadors to the Editorial Board. Each subsection was built by groups of plastic surgery residents from around the world. This section was most-recently cultivated by M. Shuja Shafqat, MD. "The Resident Reader: Articles that Will Heighten Your Surgical Skills" is a compilation of article collections organized by different subsections of Plastic and Reconstructive surgery featuring the essential articles for residents. This project was led by PRS Resident Ambassadors to the Editorial Board. Each subsection was built by groups of plastic surgery residents from around the world. This section was most-recently cultivated by Sergey Truin, MD and Ava Chappell, MD. The Resident Reader: Articles that Will Heighten Your Surgical Skills" is a compilation of article collections organized by different subsections of Plastic and Reconstructive surgery featuring the essential articles for residents. This project was led by PRS Resident Ambassadors to the Editorial Board. Each subsection was built by groups of plastic surgery residents from around the world. This section was most-recently cultivated by Marc Walker, MD and Steilos Wilson, MD. The Resident Reader: Articles that Will Heighten Your Surgical Skills" is a compilation of article collections organized by different subsections of Plastic and Reconstructive surgery featuring the essential articles for residents. This project was led by PRS Resident Ambassadors to the Editorial Board. Each subsection was built by groups of plastic surgery residents from around the world. This section was most-recently cultivated by Sergey Y. Turin, MD and Daniel M. Balkin, MD. The Resident Reader: Articles that Will Heighten Your Surgical Skills" is a compilation of article collections organized by different subsections of Plastic and Reconstructive surgery featuring the essential articles for residents. This project was led by PRS Resident Ambassadors to the Editorial Board. Each subsection was built by groups of plastic surgery residents from around the world. This section was most-recently cultivated by Nicole Phillips, MD. The Resident Reader: Articles that Will Heighten Your Surgical Skills" is a compilation of article collections organized by different subsections of Plastic and Reconstructive surgery featuring the essential articles for residents. This project was led by PRS Resident Ambassadors to the Editorial Board. Each subsection was built by groups of plastic surgery residents from around the world. This section was most-recently cultivated by Daniel Cuzzone, MD; Daniel Balkin, MD; Ira Savetsky, MD; and Donald Mowlds, MD. The Resident Reader: Articles that Will Heighten Your Surgical Skills" is a compilation of article collections organized by different subsections of Plastic and Reconstructive surgery featuring the essential articles for residents. This project was led by PRS Resident Ambassadors to the Editorial Board. Each subsection was built by groups of plastic surgery residents from around the world. This section was most-recently cultivated by Raja Mohan, MD and Daniel Cuzzone, MD. The Resident Reader: Articles that Will Heighten Your Surgical Skills" is a compilation of article collections organized by different subsections of Plastic and Reconstructive surgery featuring the essential articles for residents. This project was led by PRS Resident Ambassadors to the Editorial Board. Each subsection was built by groups of plastic surgery residents from around the world. This section was most-recently cultivated by Bharat Ranganath, MD and Maryann Martinovic, MD. The Resident Reader: Articles that Will Heighten Your Surgical Skills" is a compilation of article collections organized by different subsections of Plastic and Reconstructive surgery featuring the essential articles for residents. This project was led by PRS Resident Ambassadors to the Editorial Board. Each subsection was built by groups of plastic surgery residents from around the world. This section was most-recently cultivated by Jordan Frey, MD. The Resident Reader: Articles that Will Heighten Your Surgical Skills" is a compilation of article collections organized by different subsections of Plastic and Reconstructive surgery featuring the essential articles for residents. This project was led by PRS Resident Ambassadors to the Editorial Board. Each subsection was built by groups of plastic surgery residents from around the world. This section was most-recently cultivated by Raja Mohan, MD. The Resident Reader: Articles that Will Heighten Your Surgical Skills" is a compilation of article collections organized by different subsections of Plastic and Reconstructive surgery featuring the essential articles for residents. This project was led by PRS Resident Ambassadors to the Editorial Board. Each subsection was built by groups of plastic surgery residents from around the world. This section was most-recently cultivated by Laura Humphries, MD and Karen Chung, MD. The Resident Reader: Articles that Will Heighten Your Surgical Skills" is a compilation of article collections organized by different subsections of Plastic and Reconstructive surgery featuring the essential articles for residents. This project was led by PRS Resident Ambassadors to the Editorial Board. Each subsection was built by groups of plastic surgery residents from around the world. This section was most-recently cultivated by Chad Purnell, MD and Sergey Turin, MD. The Resident Reader: Articles that Will Heighten Your Surgical Skills" is a compilation of article collections organized by different subsections of Plastic and Reconstructive surgery featuring the essential articles for residents. This project was led by PRS Resident Ambassadors to the Editorial Board. Each subsection was built by groups of plastic surgery residents from around the world. This section was most-recently cultivated by Marc Walker, MD and Nicholas Berlin, MD. The Resident Reader: Articles that Will Heighten Your Surgical Skills" is a compilation of article collections organized by different subsections of Plastic and Reconstructive surgery featuring the essential articles for residents. This project was led by PRS Resident Ambassadors to the Editorial Board. Each subsection was built by groups of plastic surgery residents from around the world. This section was most-recently cultivated by Adam Jacoby, MD. The Resident Reader: Articles that Will Heighten Your Surgical Skills" is a compilation of article collections organized by different subsections of Plastic and Reconstructive surgery featuring the essential articles for residents. This project was led by PRS Resident Ambassadors to the Editorial Board. Each subsection was built by groups of plastic surgery residents from around the world. This section was most-recently cultivated by Nick Berlin, MD and Karen Chung, MD. The Resident Reader: Articles that Will Heighten Your Surgical Skills" is a compilation of article collections organized by different subsections of Plastic and Reconstructive surgery featuring the essential articles for residents. This project was led by PRS Resident Ambassadors to the Editorial Board. Each subsection was built by groups of plastic surgery residents from around the world. This section was most-recently cultivated by Karen Chung, MD. The Resident Reader: Articles that Will Heighten Your Surgical Skills" is a compilation of article collections organized by different subsections of Plastic and Reconstructive surgery featuring the essential articles for residents. This project was led by PRS Resident Ambassadors to the Editorial Board. Each subsection was built by groups of plastic surgery residents from around the world. This section was most-recently cultivated by M. Shuja Shafqat, MD. The Resident Reader: Articles that Will Heighten Your Surgical Skills is a compilation of article collections organized by different subsections of Plastic and Reconstructive surgery featuring the essential articles for residents. This project was led by PRS Resident Ambassadors to the Editorial Board. Each subsection was built by groups of plastic surgery residents from around the world. This section was most-recently cultivated by Andrew Weinstein, MD. The Resident Reader: Articles that Will Heighten Your Surgical Skills" is a compilation of article collections organized by different subsections of Plastic and Reconstructive surgery featuring the essential articles for residents. This project was led by PRS Resident Ambassadors to the Editorial Board. Each subsection was built by groups of plastic surgery residents from around the world. This section was most-recently cultivated by Chad Purnell, MD. The Resident Reader: Articles that Will Heighten Your Surgical Skills" is a compilation of article collections organized by different subsections of Plastic and Reconstructive surgery featuring the essential articles for residents. This project was led by PRS Resident Ambassadors to the Editorial Board. Each subsection was built by groups of plastic surgery residents from around the world. This section was most-recently cultivated by Kavitha Ranganathan, MD and Deana Shenaq, MD. We are pleased to bring this 2014 update to our collection of the Top "War Medicine" Articles to you. This collection features the best War-time Plastic Surgery articles over the past 10 years, focusing on Operation Enduring Freedom and Operation Iraqi Freedom. These articles were selected by active duty US Navy full-time outservice resident, Eamon O'Reilly, MD and Lieutenant Commander, Medical Corps, United States Navy Staff Physician Carter Sigmon, MD, MHA then evaluated by the Editor-in-Chief. The "best-of" articles selected by Dr. O'Reilly are the opinion of Dr. O'Reilly and do not necessarily reflect the official policy or position of the Department of the Navy, Department of Defense, or the United States Government.